Why would I need self storage in Durham, NC? There are a variety of reasons why you might need self-storage in Durham, NC. How much is a storage unit in Durham, NC? The cheapest storage unit in Durham, NC is $46.00 per month. What size storage units do you have available in Durham, NC? In Durham, NC we have sizes that range from 4'x4' to 10'x20' to suit your storage needs. How much is it for a 4'x4' storage unit in Durham, NC? The cheapest 4'x4' storage unit in Durham, NC is $53.00 per month. Nestled in the Piedmont foothills, Durham provides a home for a growing, diverse population. In fact, Durham is the most diverse city in North Carolina. Because the city shares an airport and a border with adjacent Raleigh, you can enjoy the amenities and perks of both cities. Over the years, Durham has acquired the nickname "the City of Medicine," thanks to its prestigious hospitals, clinics and other health care facilities. A large percentage of jobs in Durham are in the health care field. 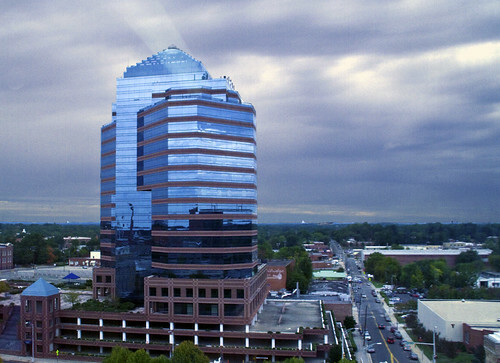 Durham is also known for its important position in the Research Triangle and as the home of Research Triangle Park. If you enjoy hiking, biking, or any other outdoor activities, the city offers a wide range of scenic outdoor spaces. First inhabited by Native Americans, Durham played an integral role in the Revolutionary and Civil wars; then it eventually became a hot seat of commerce for the tobacco and textile industries. The city also rose to prominence with regard to fighting racial segregation and discrimination. Martin Luther King, Jr. visited Durham on a number of occasions, and the city is considered to be the site of the very first sit-in of the Civil Rights Movement, which took place at an ice cream parlor in 1957. Many major publications rate Durham as one of the most livable cities in the nation, citing its beautiful weather and low cost of living as major draws. Durham offers plenty of amenities to keep you busy and satisfied, whether you're a foodie who loves trying new restaurants or a coffee connoisseur in search of the best cup in the city. Although health care costs in Durham are slightly higher than the national average, you'll find that most other necessities are much cheaper. Additionally, the unemployment rate is lower than the national average, which might make it easier to find work and settle in the city. The downtown area of Durham holds much of the city's history and is home to several important landmarks, including the historic Carolina Theatre. There are a variety of shops and restaurants, as well as the local Triple-A baseball stadium in the downtown area. The Hayti neighborhood, established in the 1880s, has a rich African-American heritage..You can learn more about the community's roots at Hayti Heritage Center or at North Carolina Central University, the nation's first publicly funded African-American liberal arts college. Southpoint is a Southern shopping destination and home to the Streets at Southpoint, one of the region's largest malls. It's also the site of the Jordan Lake Game Lands, which provides thousands of acres of natural habitat for native wildlife including deer and foxes. Duke University is the focal point of the Ninth Street and Duke area, which has the feel of a small, friendly college town. Among the Duke University facilities in the area is the Duke Lemur Center, a conservation facility that houses the world's largest collection of lemurs. You can also explore the university's gardens, art museum and Gothic-style chapel. The Durham Public Schools system serves the public schools in the city and boasts a high graduation rate and several highly-performing schools. There are also a handful of magnet schools managed by the district that offer specialized study tracks in areas including the art of science. If you'd like to enroll your child in a charter or private school, there are a variety of options to choose from. The Research Triangle Park is home to a STEM-focused charter school, and there's a mix of faith-based and secular private schools in the area. Durham is known for its powerhouse universities, including Duke University and North Carolina Central University. If you're interested in a two-year degree, Durham Technical Community College offers several different associate's programs. Utilities: Durham's main power provider is Duke Energy, and the city facilitates water and sewer services. Garbage and Recycling: Curbside collection is provided for trash, recyclables and bulky items. Transportation: Although private vehicle is the most popular form of transportation in Durham, there are a handful of public transit options, including commuter and regional bus service. The city is also known as being extremely bike-friendly, winning awards for its extensive bike routes. Although the median home price in Durham is higher than in many other area of North Carolina, it's fairly even with the national average. A variety of housing options means you'll be able to find something to fit your specific needs and budget. Our lowest priced units in Durham, NC average $64.33 per month. 313 people have reserved units in Durham, NC in the past 30 days. There are 3 locations within Durham, NC's city limits. There is 1 location in Durham, NC that offers AC and Heating features.